This 4 star hotel located in the very heart of London is the perfect accommodation for those tourists who want to discover the city and stay in a comfortable and well located luxury accommodation. The hotel itself offers well furnished rooms with all sorts of comforts and several facilities including a gym and sauna. Travelling in London is even more profitable when you find great travel deals ahead of time. You can trust our Incognito Hotels to provide you with the best offers available in London. Indeed, our Incognito Hotels of London give you the opportunity to enjoy a luxurious stay in the centre at half the price. Keep your money and enjoy top London attractions, by taking full advantage of 3, 4 & 5 Star hotels opening their doors and slashing their prices. It’s an opportunity to catch right now. Turn your travel in central London into an exciting adventure by opting for one of our Incognito Hotels. 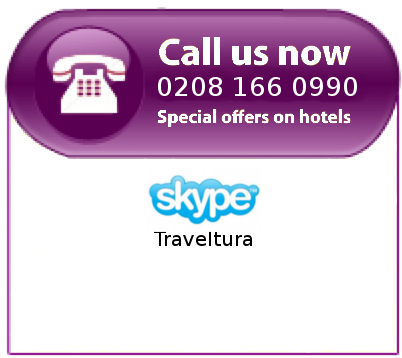 Choose and book right now, and stay in London for real value for money.